On the second day of our time on the Island of the Sun in Bolivia an opportunity presented itself. Local Aymara spiritual leader Mallku Roger Choque offered to take us to a closely held sacred place, one little known to outsiders where even few locals venture. The ancient ceremonial purpose of the site off the Island of the Sun was verified some decades ago when archaeologists found ritual artifacts on the lake bed at its base. Clearly, this was another gift being handed to us. The first gift occurred the day before when sponsored Hopi guest Suhongva Marvin Lalo had discovered the Hopi migration petroglyph on a huge stone slab at the ruins of Puma Punku, outside La Paz—significant validation of the Hopi migration path. 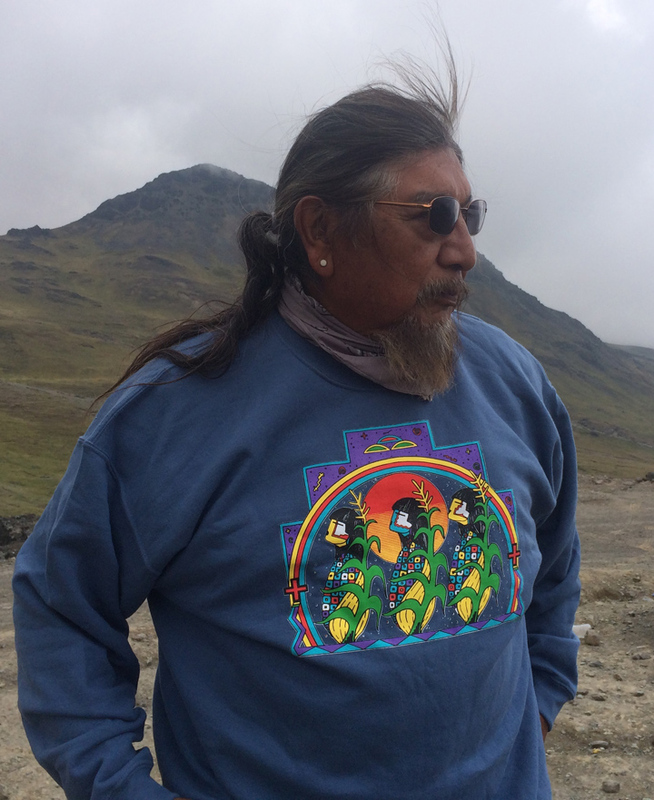 My spiritual travel group also included five sponsored Q’ero Wisdom Keepers making this journey to return to their Inka origins, as well as participants from across the US and Canada. Given the cue by Mallku Roger we descended from the high point where we were lodging to the boat below. Not long after we headed out, waves washing behind us, this Aymara paq’o, or medicine person, laid a large weaving out on the floor of the boat’s front interior. Crouching down, he removed items from his bag. Soon it became apparent he would be leading a despacho ceremony, a prayer offering. Others squeezed around the altar, getting as close as we could in that cramped space. Mallku Roger Choque. Photo credit: Carla Woody. And a memory surfaced, one of being on a boat and, so much the same, engaged in despacho ceremony the previous year on a private journey with a few friends. But that time we had been leaving the Island of the Moon, ancient site of the Mystery School for Inka priestesses. And after our prayers were all placed in the despacho, and it was tightly wrapped, I was beckoned outside to the boat’s back deck. The package was placed in my hands. I remember standing, watching the waves recede as we plowed through the waters. Raising my hands I released the bundle to send it arcing over the waters. Time slowed down. It seemed to hover for a few moments before slipping into the lake…and some kind of energy was emitted. We all felt it. I tried not to engage my mind then about what it might mean, if anything. I came back to the present as one of my Q’ero friends stood before me offering me a kintu for the Pachamama—Mother Earth—coca leaves in proper placement. Taking them into my own hands, I began breathing my prayers into the coca. Another kintu was given for the Apus, the mountain spirits. My friend came back to receive the kintus that would be placed in an earthen vessel, along with the others. I gazed out at Lake Titicaca, so incredibly vast, then turned my attention back to the ceremony. Despacho ceremony on Lake Titicaca. Photo credit: Carla Woody. And in that split second, a vision distilled. I say vision but can I say a precise image appeared? No. It was more a sense that something was being woven together. Can I say that I was given a commandment? No. But I was receiving a precise direction. It produced the feeling of something inside settling and becoming solid. A calling I didn’t question. But it still involved asking permission. I sat there with the knowledge. By then the boat had approached our destination. But first the vessel that held all our prayers and blessings was lowered carefully into the shallow water and came to rest. That night after dinner I asked Hopi, Q’ero and Aymara spiritual leaders if they would gather in circle with me. I told them of the vision I’d received during ceremony: to invite Hopi, Q’ero, Aymara and Maya Wisdom Keepers on a pilgrimage in 2016 nearly replicating the one we were making this year from Bolivia to Peru with one difference. The culmination would be on Q’ero. While others have brought different traditions together in various locations on a much grander scale, the direction I’d received involved a journey of an intimate, humble nature. I felt that others across the lands who would assist in holding such a space for this pilgrimage would emerge to support it. I asked the Wisdom Keepers if they would tell me what thoughts they had. One by one they spoke agreeing wholeheartedly with this vision. In that moment, the last vestiges of doubt that periodically played inside my head over the years about the work I’ve dedicated myself to…when I’d get tired…when my faith got called into question…when it seemed like I was swimming against a tidal wave with little forward motion…dissipated. Later I wondered if last year—when I slipped the despacho into Lake Titicaca—something had been set into motion. One more evolution. Each time it’s never about predicting what is to come as a result. One can’t. But it is about engagement…full engagement to the calling. To read about the discovery of the Hopi migration petroglyph at Puma Punku and more background, go here. 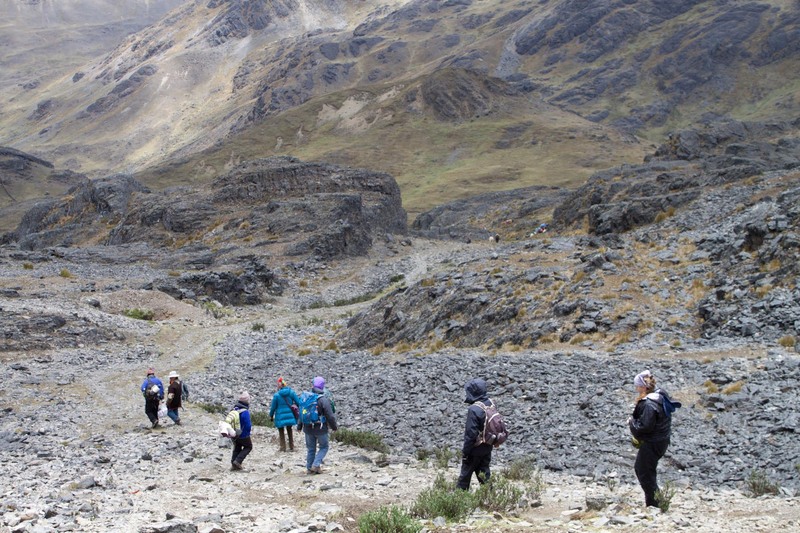 To learn more about the 2016 Heart of the Andes spiritual travel program in Bolivia and Peru, the intimate pilgrimage honoring the Eagle Condor Prophecy as noted in this writing, go here. Marvin had begun to share his feelings and his mission for coming on this journey. Hopi Elders talk about and remind generations after generations of Hopi oral history, including the migration stories of various clans after the flooding of Palatkwapi, a unknown ancient village located somewhere in the south. Exact routes, established villages, and events have long been forgotten with time. 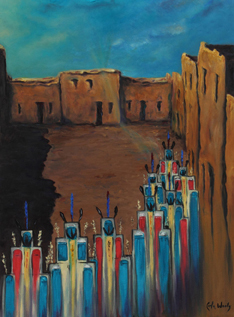 Still, ancient ceremonies remain intact with clans responsible for carrying religious ceremonies through thousands of years of migrations to present-day Hopi villages where the ceremonies are still practiced today. 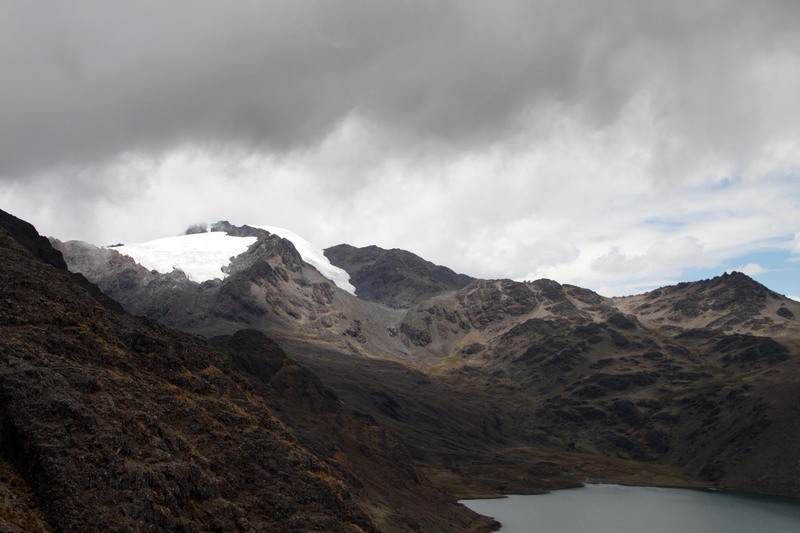 The Heart of the Andes journey offered an opportunity to connect with ancestral history, to visit the land of the ancients and its descendents, the Q’ero. To what extent my experience would take me, I didn’t know. The first despacho ceremony, I experienced a strong connection as I was presented with a Chakana; a sacred stone necklace and woven cords tied to my wrist. 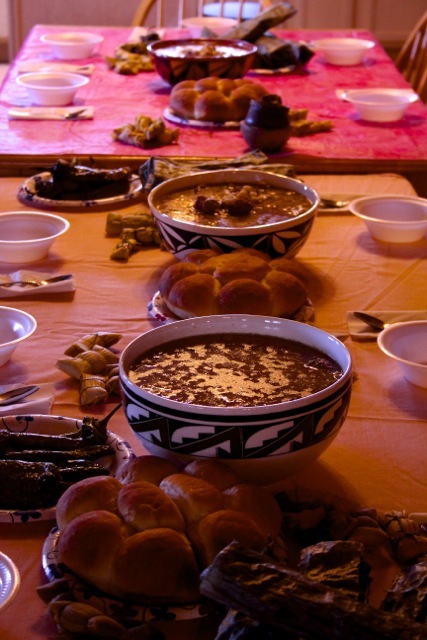 I gave thanks with offerings of my hooma. At Tiwanku, Marvin already noted the possibility of his own people having set foot on this land. We wandered the ruins, a place of ancient mystery. We were all especially moved in a ritual square, the interior lined with stone faces—a portal perhaps. Finally pulling ourselves away, in the last half hour before closing we ventured over to an adjacent site. Puma Punku may be the biggest mystery of all. Some conjecture it may have been a docking point, as thousands of years ago Lake Titicaca also covered this area. Now what was left were huge toppled stone slabs and much smaller structures fashioned with extraordinary precision … seemingly impossible for those times. It cannot be explained to this day. And it was here that Marvin—who had traveled south all the way from Hopi Land on a mission for signs that his people had passed this way—found the Hopi migration petroglyph. The one that was known to point the way to his ancestors. The one that pointed north. Atypical of other petroglyphs I’ve seen all over the US Southwest or elsewhere, it was large. I’d say three feet, maybe more. Also curious, there was a large serpent petroglyph in front of it, as though verifying the direction. Even that large, it was easy to miss. The sun was at that point in the day when its rays glare as it’s headed toward the horizon ready for the night. Light bounced off rock surfaces, washing out details. Even with sunglasses my eyes were at its mercy. I missed it. But not Marvin. He zeroed in on a symbol he knew to be his people’s…and his hair was on fire. Hopi migration petroglyph at Puma Punka, black and white to better view. Not pictured in its entirety. 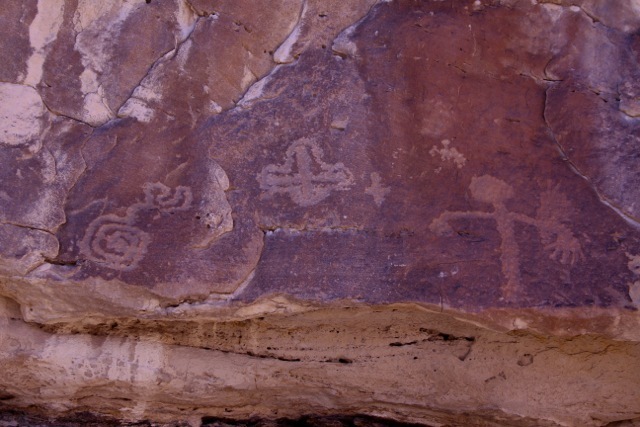 Nor is the serpent petroglyph pictured. Photo credit: Janet Harvey. What does this mean exactly? In 2008 Hopi Harold Joseph came on our program that included Puno. On the Peruvian side of Lake Titicaca, we went by boat to the reed islands. There Harold saw the reed boats with serpent heads that he knew from Hopi oral history. He took a replica back to Hopi to show his father-in-law, the last great oral historian of the Tribe…who got tears in his eyes when Harold presented him with an artifact that he already knew. For Marvin and his Elders, how do you explain the presence of the Hopi migration symbol at Puma Punka if the Hopi had not been there? He talked with excitement of sharing this discovery with the Elders. When our guides spoke of a great city that once existed in this region, now lost, and the great flood that took it, he listened. Geologically, it appears valid. The same story exists in his oral history. The locals even raised the idea that the place we know as Atlantis and the great city they cite are the same. After we came home, Marvin offered his words, to be included in this documentation, more overview of his time with us in a land he found not to be foreign to him. The Q’ero and spiritual guides honored me by inviting me to sit in on the ceremonies and observe. I recognized the po.nga (altar) and offerings to be similar to Hopi. At one point I was asked to pray with my hooma for them: to ask the deities’ especially Hopi to help and assist the people to prosper. I quietly prayed, gave offerings of hooma, drank the cool tasty water and bathed symbolically at the springs. Suhongva Marvin Lalo, Island of the Moon. Photo credit: Carla Woody. When we know our origins, it grounds spiritual identity. We know our place in the world through all the places our people traveled, the ground their feet have touched. It goes beyond mere belief. I’m not sure the word ‘faith’ is even sufficient. And when you’ve followed something that you know, even as you don’t know what’s ahead or why…and it comes to some kind of fruition in a way you couldn’t even have imagined…that instills something for which I have no words. That’s what happened for me on this journey. Next year it will be ten years since an eagle and condor flew together overhead at Huaypo Lake outside Cusco after a despacho ceremony with Q’ero friends. And I had an immediate vision of bringing Hopi people to Peru on my 2007 program…not knowing any Hopi…not knowing it was their migration path…not knowing how it would ever happen…not knowing of the Eagle Condor Prophecy. * Viracocha, Creator-Sun God, is also known as Inti. 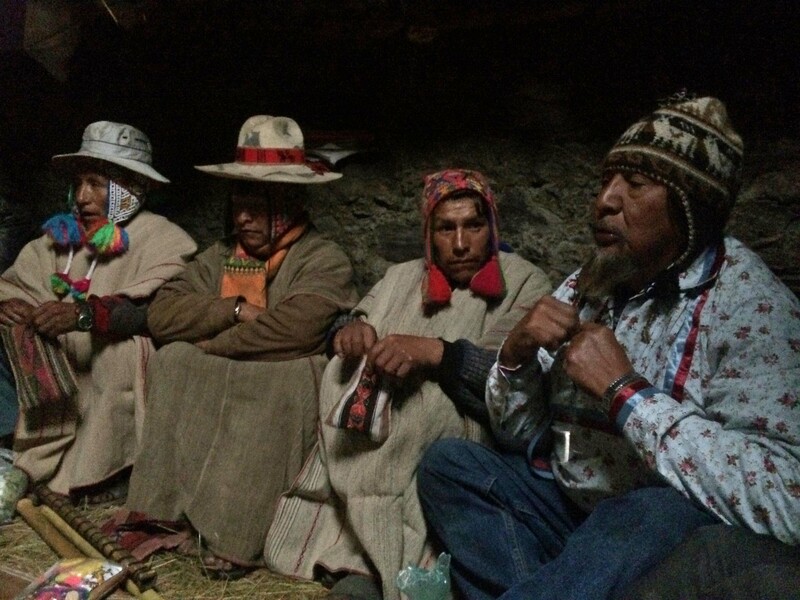 ** Q’ero paq’os (meaning priests, mystics and/or wisdom keepers) traveled to Bolivia from their home in the high Peruvian Andes as sponsored guests and experience the site of their origin for the first time. At important points in the journey they guided despacho ceremonies, a prayer ritual. Suhongva Marvin Lalo of Walpi, First Mesa in Northern Arizona was our sponsored Hopi guest for the purpose he mentions in this article. Marvin consults for the Hopi Cultural Center in validating sacred sites and artifacts. 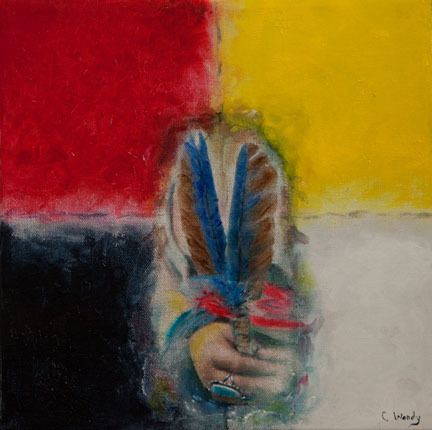 For more on why Kenosis Spirit Keepers has been sponsoring Indigenous guests on our spiritual travel programs, go here. One thing is certain. It’s a passage made with holy purpose, and you must leave the homeland in order for the pilgrimage to occur. I’m using the word ‘holy’ for a reason. It’s a term people usually back away from because of its connotations, often for the same reasons ‘pilgrimage’ is given wide berth. Here I’m using both for common purpose, giving them due because they take us to a place we normally don’t dwell. To undertake a pilgrimage, your soul must come through, reaching out from that core level. It’s a call to engage, go deeper. It’s a yearning to venture into the unknown. Some conclusion is sought. It’s time to step beyond a threshold, out of the status quo. There’s certain to be physical, emotional or mental discomfort—maybe all three! And it’s through such radical departure that you discover what you’re made of—sometimes quite the surprise. As a result, you’re enlivened. Your constructs are stretched. You’re taken beyond your limits. Your new world emerges. I’m expected to do it. I’m here to support my spouse…friend…(fill in the blank). That’s a place I always wanted to visit. This is spiritual travel. And it’s pure medicine. There is no road up to the village. In order to get there we sometimes rode on horseback, much of it walking through some of the most beautiful and steep landscape I’ve experienced. Harold stopped a number of places on our journey to give his own prayers and leaving offerings, as well as during despacho ceremony during our time in the village. * We were truly privileged to be part of all of it. 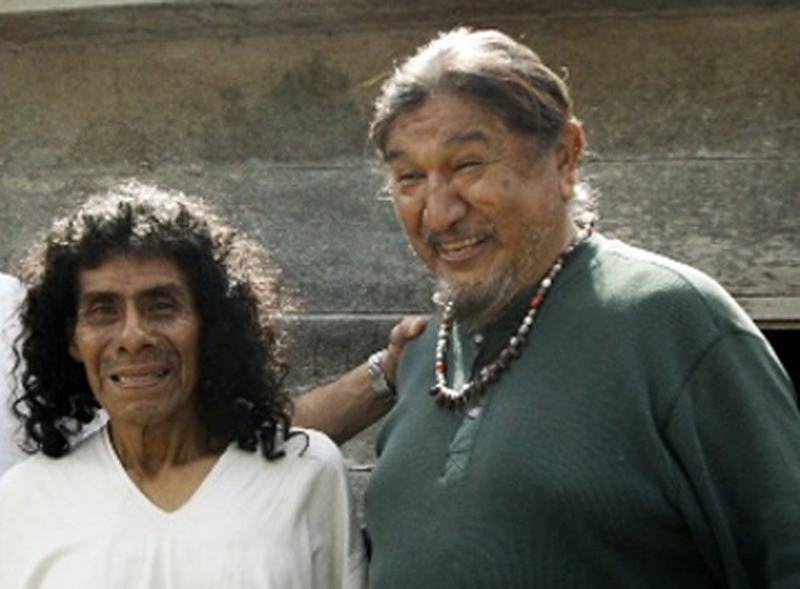 Hopi Harold Joseph (rt) during despacho ceremony with Q’ero spiritual leaders. Photo credit: Sage Garrett. The highest point to and from the village is 16,000 feet before descending. On our return, as some of us were already ascending, I began to hear a voice echoing from the valley below, calling forcefully every few minutes. I couldn’t understand the words or see who it was. Later I learned it was Harold giving us all a message that Hopi Spirit Keepers used with each other during times of challenge in the kiva, after many long hours of prayer or enduring inclement weather during ceremonial dances. The highest point at 16,000 ft on the pilgrimage to Ccochamocco. Photo credit: Carla Woody. He said it’s meant to strengthen spiritual warriors, to remind them they’re doing what they’re doing for more than just themselves. They’re doing it for their community and more…for all humanity. I will never forget Harold’s message bouncing from mountain to mountain. In early May I will begin walking the Camino de Santiago, a 500-mile pilgrimage in northern Spain. My old friend Oscar Panizo is going with me. People ask me why I’m doing such a thing. I can’t honestly give a concrete reason. I just know I’m called to undertake it. The whisper had been hovering in the background for a while, and now is the time. I also know without a doubt: I will repeatedly hear echoes through time—Harold’s voice encouraging me. *The next Heart of the Andes will be October 23-November 5, 2015 and include Bolivia and Peru as a special initiation journey mirroring the path designated by Viracocha, the Incan Creator God. 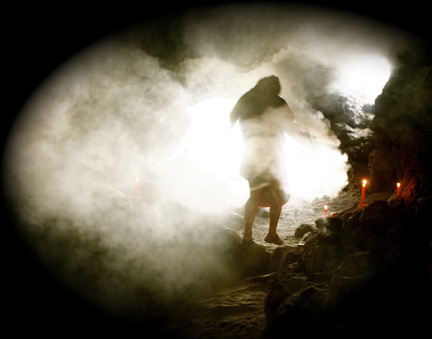 Six Q’ero Spirit Keepers have been invited to accompany us in a pilgrimage that will take them back to their origins. A portion of tuition is tax-deductible to support their sponsorship. **A despacho is a prayer or blessing bundle made in ceremony by Quechua and Q’ero peoples of the Andes. *** Kikmongi is Hopi for religious leader.